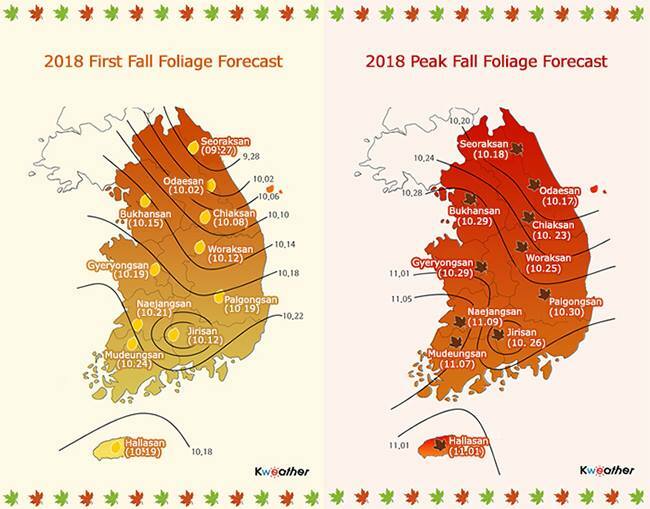 Where can you find the best autumn foliage in Korea? 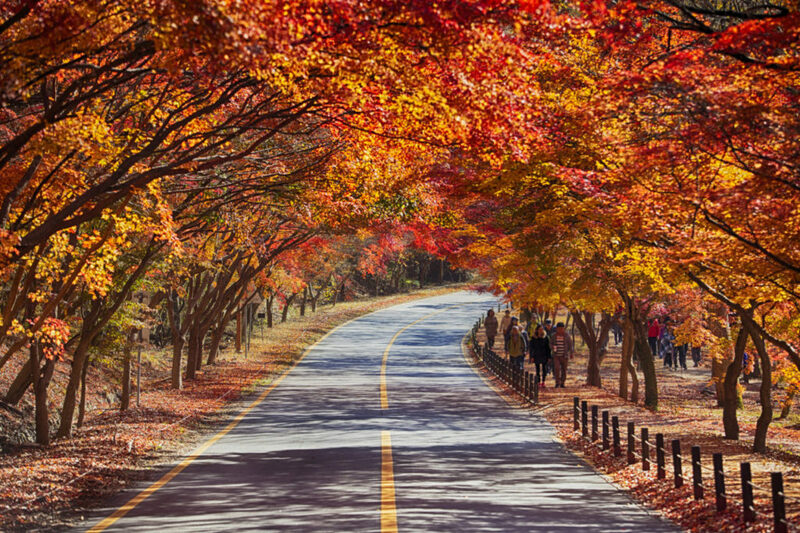 Autumn is the perfect time to visit Korea: mild weather, festivals galore, and most importantly, stunning foliage. Every year around September, a foliage forecast is released to enable both residents and visitors to plan visits to the nation’s top leaf-peeping spots at the best possible times. However, with a total of 22 national parks on offer in Korea, each with their own unique features and benefits, deciding where to visit can seem daunting. To help, we’ve come up with a handy guide covering each of the 11 mountain ranges/national parks that feature in the foliage forecast, including the main attractions of each area and how to get there. Read on to find out which location is best for your next hiking trip! 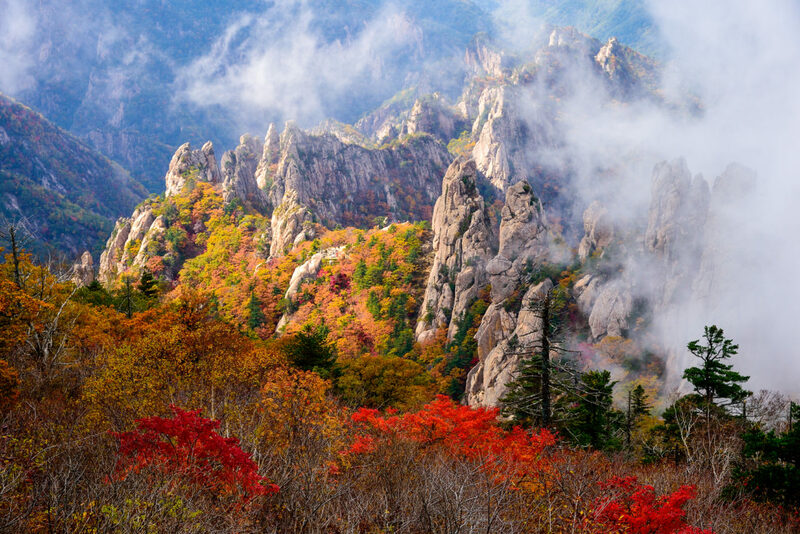 One of Korea’s most beloved hiking spots year-round, Seoraksan offers particularly stunning views in the autumn. Sinheungsa Temple, home to a 48-ft bronze Buddha, offers various templestay programmes, and the Oeseorak (outer Seorak) area is home to giant waterfalls and impressive rock formations like Ulsanbawi. Getting there: from Sokcho Express/Intercity Bus Terminal, take bus 7 or 7-1. Get off at Sogongwon Bus Stop. 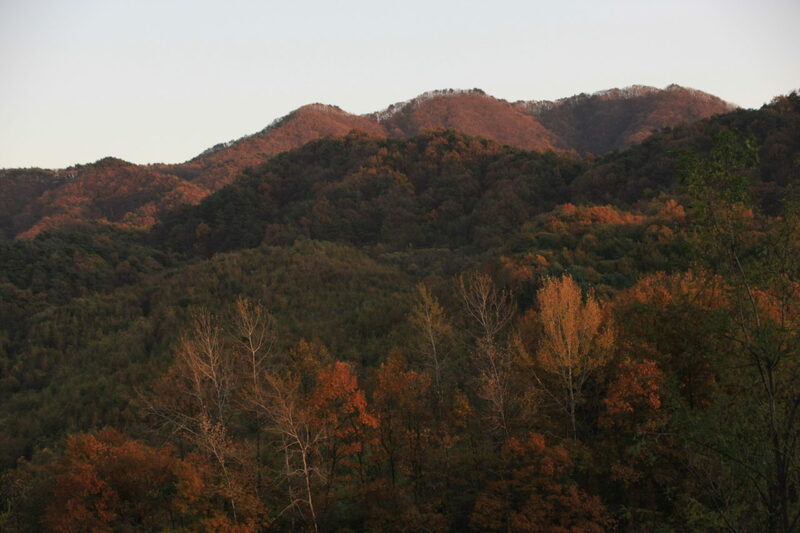 Odaesan contains the largest natural forest in Korea. There are various wild animals including boar, musk deer, and colourful woodpeckers, and the 1563m Birobong Peak is famous for its Nuncheunkbaek and Yew trees. 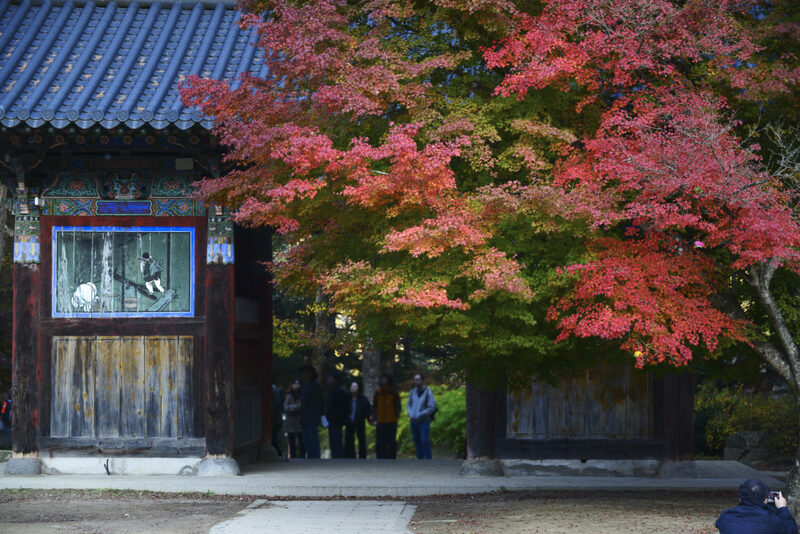 The park is also home to various picturesque temples such as Woljeongsa and Sangwonsa. Getting there: From Jinbu Bus Terminal, take the bus to Woljeongsa Temple or Sangwongsa Temple. 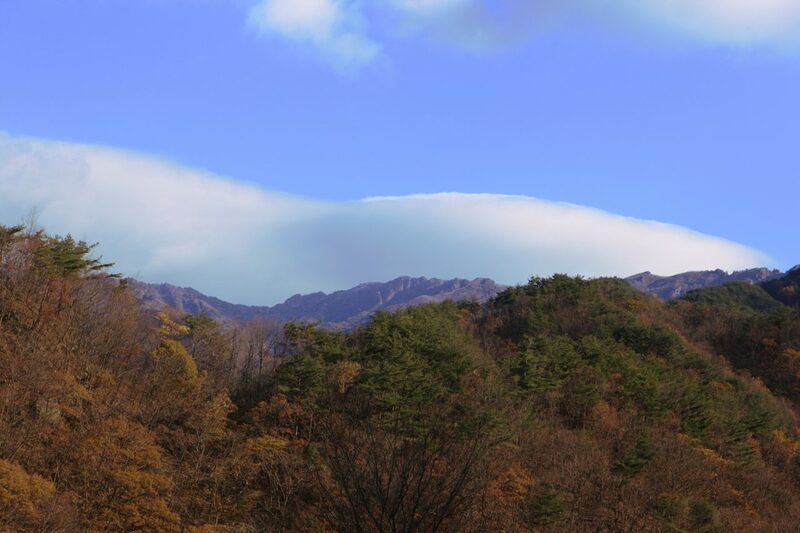 Chiaksan is often known as ‘Red Mountain’ due to its vibrant autumn foliage. In addition to its soaring peaks – many of which reach heights of over 1000m – the park also contains deep valleys, impressive waterfalls, and unique rock formations. Getting there: from Wonju Station, take bus 41 to Guryongsa Temple, bus 21 to Geumdae-ri, or bus 82 to Seongnam-ri. Woraksan is home to a great deal of rare wildlife and plants, and its hiking courses are regulated in order to protect the natural area. This doesn’t mean that the hiking is disappointing, though – beautiful lakes, valleys, waterfalls, and several traditional temples can all be enjoyed. Getting there: from Dong Seoul Bus Terminal, take the bus to Deojkusa Temple. 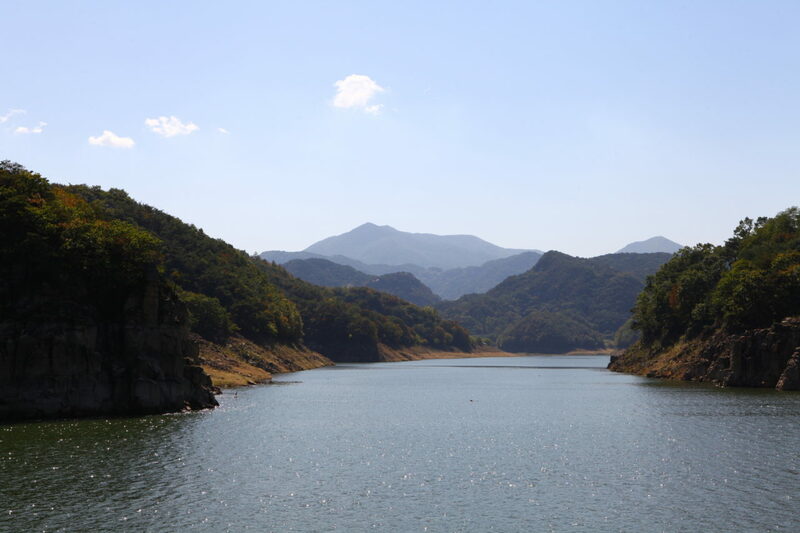 Korea’s first national park, the enormous Jirisan covers three provinces (Gyeongsangnam-do, Jeollanam-do, and Jeollabuk-do). 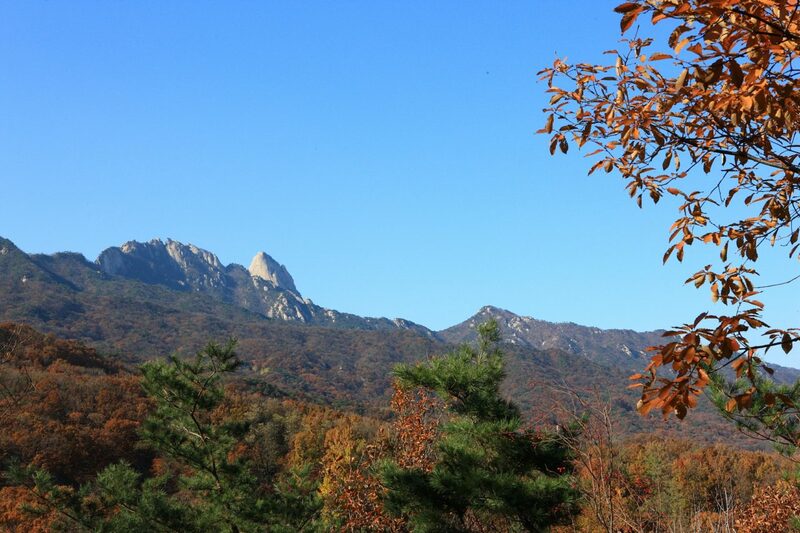 It is the largest mountain-type national park in Korea, and is home to an Asiatic black bear conservation project. Getting there: from Jinju Bus Terminal, take the bus to Daewonsa Temple or Jungsan-ri. Bukhansan is a great option for those not wanting to travel far from Seoul, as the park is accessible via the city’s subway. Highlights include Bukhansanseong Fortress, Munsugol Cave, the seated rock-carved Buddhas, and multiple temples. Getting there: Subway to Gireum Station (Line 4), exit 3. Take bus 110B or 143 to the last stop. For Bukhansanseong Fortress, take Line 3 to Gupabal Station. Take exit 1 and catch bus 704 to Bukhansan Mountain Entrance. 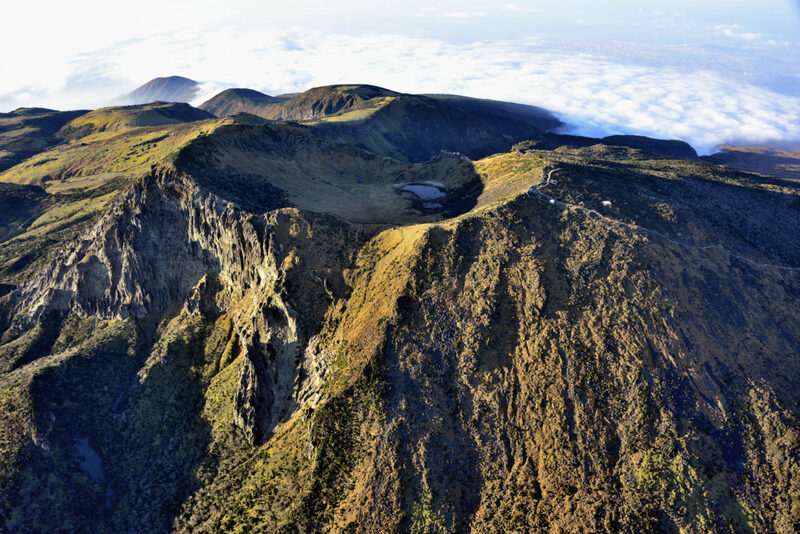 Perhaps Jeju’s most distinctive feature, and certainly its most unmissable, the volcanic Mount Hallasan rises in the centre of the island and can be seen from all around. 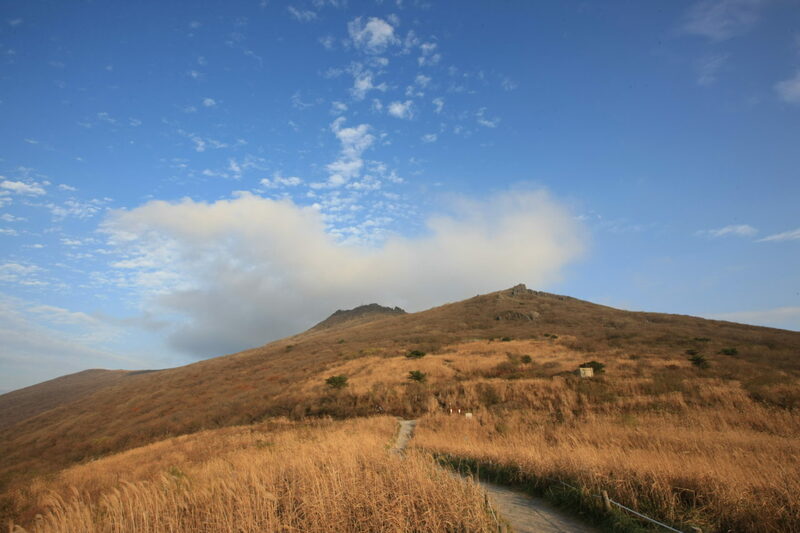 As the tallest mountain in Korea, routes can be challenging, and hiking is strictly time-regulated in order to ensure hikers return before nightfall. The park is also home to Gwaneumsa, the oldest Buddhist temple on Jeju. Getting there: from Jeju Intercity Bus Terminal, take bus 740 to Eorimok Trail or bus 781/781-1 to Seongpanak. The 15 summits and fascinating topography are what make Gyeryongsan unique, causing the area to have developed mysterious folklore. The name ‘Gyeryong’ (‘Gye’ meaning chicken and ‘yong’ meaning dragon) was given because the ridgeline supposedly looks like a dragon wearing a chicken’s crest on its head. Explore some of the park’s many temples, or admire the waterfalls and valleys littered with ponds. Getting there: from Daejeon Station or Hyeonchungwon Station, take bus 107 to Donghaksa Temple. Palgongsan is a particularly popular spot in the autumn due to the 16.3km road that runs through the park, lined on either side with beautiful foliage. There are also a number of temples, and the famous gatbawi Buddha statue, said to grant honest prayers. Getting there: from Dong Daegu Station, take bus 401 or express bus 1 to Donghwasa Temple. 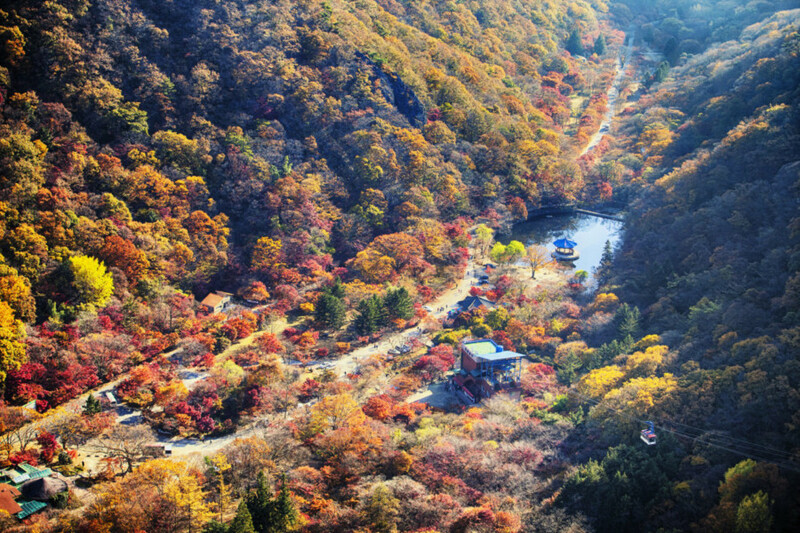 Naejangsan is probably the best spot in Korea for autumn foliage, and the views from its peaks are spectacular. In addition to the breathtaking autumn leaves, several famous waterfalls and temples make the park even more picturesque. Naejangsan also offers additional facilities for handicapped visitors. Getting there: from Jeongeup Intercity Bus Terminal, take bus 171 to the Service Area/Naejangsan Bus Terminal stop. For those not inclined to serious hiking, Mudeungsan is a great option. It offers lots of temples and easy trails, as well as various recreational facilities and tourist sites below the mountain including Gwangju National Museum. Getting there: from Gwangju Bus Terminal, take bus 09 to Jeungimsa Temple. 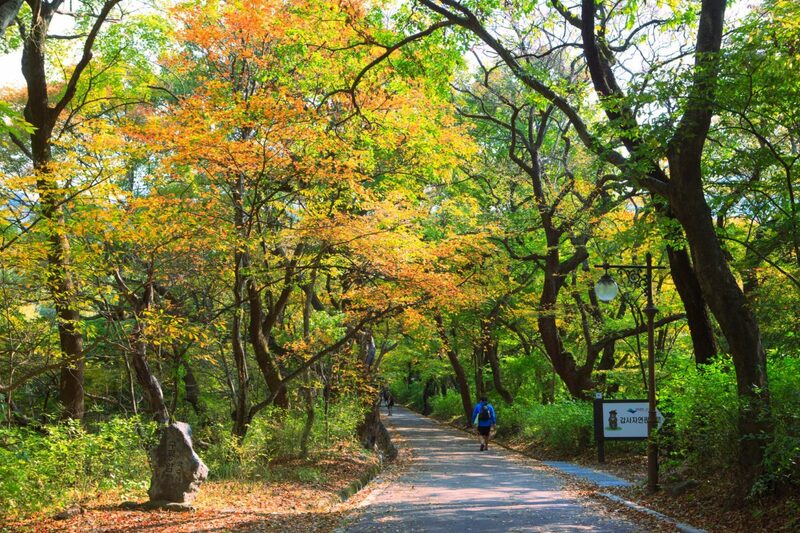 If you’re staying in Seoul and looking for gentler courses that don’t involve travelling far, there are a variety of trails that make up the 157km Seoul Trail. These walks are accessible and generally feature easy slopes, plus there are lots of rest spots. 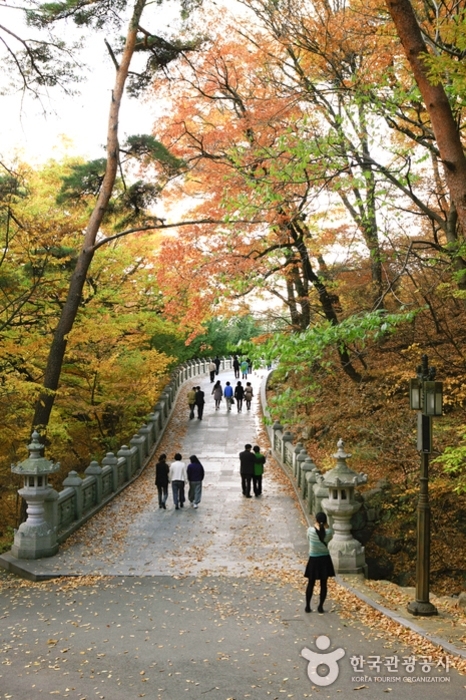 If hiking isn’t for you, there are lots of other spots with stunning foliage in and around the city, including Changdeokgung Palace, Namsan Mountain, Seokchon Lake, and Namiseom Island.